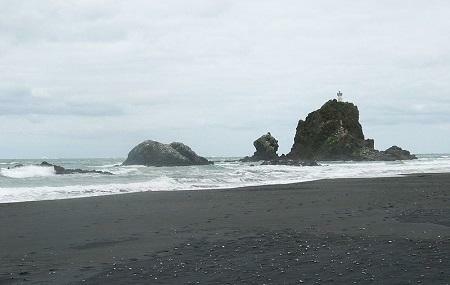 Located 40 kilometres from Auckland business district, the Whatipu Beach’s black sand, stunning caves and its heavenly walkways that lead to the beach, all make the place a favourite day-trip location. The caves make for stunning photos while the lighthouse- better known as the ‘Whatipu Beach Beacon’, offers a dreamy view of the west coast hugging the surreal beach. Do carry a camera to capture the scenic views all around. Carry bottled drinking water and food with you to have a small picnic here. Wearing sunscreen will be helpful. Carry a change of clothes if you need to. How popular is Whatipu Beach? People normally club together Piha Beach and Aotea Square while planning their visit to Whatipu Beach. Amazing Beach! Definitely would love to stay for overnight camping. Great walk, great views. Unsealed roads..remote beach..and the worst part is we saw huge no. Of people taking bag and bucket full of Mussels... its supposed to be a scientific reserve... no one to stop those .... not even the locals... I wish my post is seen widely and somebody do something coz I dont know how to stop them. Otherwise the beach was lovely. A big beach between big seas and big hills.